If you're like me you're searching for that miracle product that will take you from dorky Anne Hathaway to Princess Mia as quick as possible. Unfortunately I'm pretty sure that product doesn't exist (at least not within my budget and I'm not really a fan of needles so...) but it's worth trying new things every once in awhile! I recently read about LUSH Cosmetics from a few fellow bloggers and saw them on BuzzFeed's "41 Beauty Products That Really Work According To Pinterest" and became intrigued so I decided to try a few things out for myself. After searching their site and reading reviews I decided to give the Dark Angels Facial Cleanser and the New! Stimulating and Reviving Minty Shampoo Bar a try. All of LUSH Cosmetics are fresh, handmade and best of all not tested on animals. This lovely science project looking thing is actually the New! Stimulating and Reviving Minty Shampoo Bar.Weird huh? The strange looking sticks in the top are actually cinnamon sticks...still not sure how they do anything but eh, why not? This odd looking thing is supposed to "grow new hair" for people with thinning hair. I don't know if my hair is necessarily thinning but I do have very fine thing hair so I figured it couldn't hurt to try it. I was pretty skeptical on this one (the verdict is still in question) but I do like that it smells nice and fresh and lathers surprisingly well. 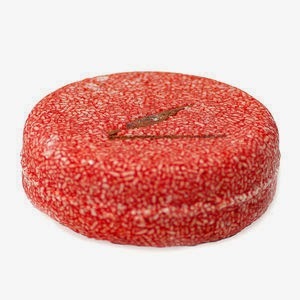 It's a bit strange if you've never used a solid shampoo bar before (I haven't so I was clueless) but you definitely get used to it. I read that a lot of people said their scalps felt tingly after using this... mine has not.... so I don't know if that means it's not working on me or maybe just that I'm weird. Both are definitely plausible. I haven't noticed any definitive hair thickening but I do like how it makes my hair feel and how soft it is so I might as well continue to use it! So I'm definitely excited to share them with you! If you've had any experience with either of these let me know what your thoughts were! That cleanser sounds awesome! I’ve also heard great things about their Cupcake mask. Oh if you get it let me know! I wanted to try that as well! Great review...I've never tried any LUSH products but I'm sure that will be changing soon!! Love the Princess Diaries reference - that is probably one of my favorite scenes!! I would Love to try this out, sounds amazing.Thanks for your visit, hope your week is going well. Thanks Sam! I hope yours is going good as well! Haha loving that pic!! I've been hearing a lot of people talking about their products! Might have to try that face wash! Haha yeah... still can't believe I put that up but whatever! You should, definitely less oily now! I love that pic haha it is perfect! I need to check out these products! I have a few friends who swear by Lush, so maybe it's time to take the plunge! Haha thanks Maggie! I kept hearing great things about them so I'm glad I gave them a shot! Ahh I want to try Lush products so badly! Everyone seems to love them. There is a store about 45 minutes away from me. I may need to make a trip so I can go check them out in person!! There's a store like 30 mins from me but I was lazy and just ordered this stuff online LOL! I'll probably drive down there next time but I'm definitely glad I tried them out! This was such an entertaining and informative post!! I've never used lush but now I may need to! Thanks for sharing! Thanks Kayleigh! I've definitely been satisfied with their stuff so far! I've seen this before but never knew if it worked! I can't wait to read your review!! I have never heard of Lush before, but I am going to have to look into it now! I definitely recommend it Nikki! They have SO many different products too! I haven't used Dark Angels before, but my husband and I LOVE the NEW! shampoo bar! I was really skeptical at first too, but now we love it. I will say that I've felt my scalp tingle while using it, but never after using it. By the time I've used conditioner the feeling is gone. I really love the smell of it and wish they had a conditioner with the same smell. Thanks for sharing! If you try more LUSH products I'd love to know what you think of them! Oh gosh, I absolutely love that you used Princess Diaries as a reference. And seriously, finding products that actually do work is like magic! i did a huge roundup of lush products a few weeks ago--including that one! 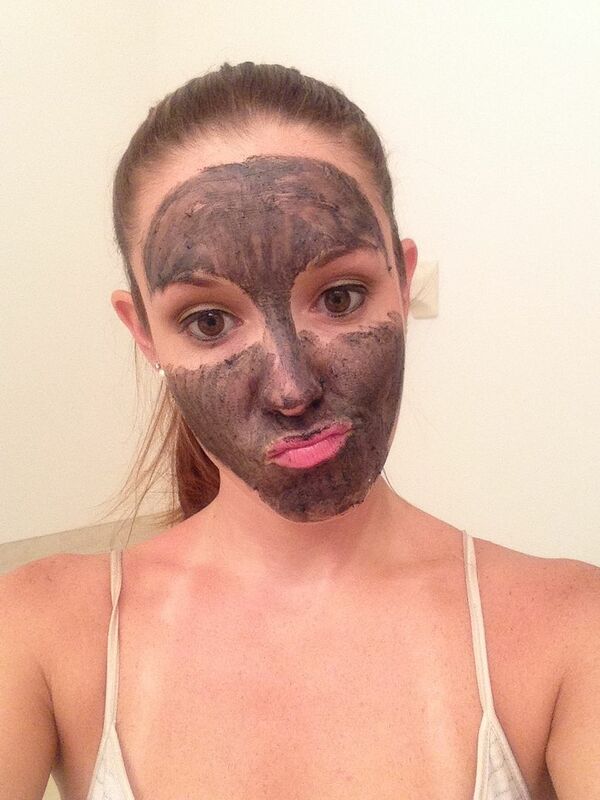 I will have to try out that face cleanser - I'm in the market for a new one! Thanks for sharing! I love LUSH! I use the Dark Angels too. They gave me the shampoo bar but I've yet to try it, now I'm really excited to go home and try it out!